It’s pretty clear that Red Hook won’t be the same for quite a while. 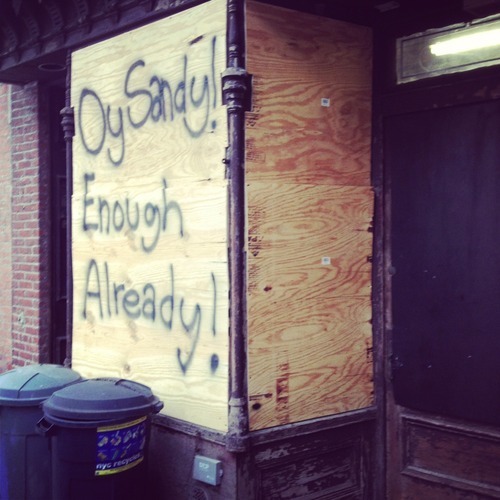 Every day we are saddened by a neighbor’s devastating story and learn of more and more losses due to Sandy. There are a few things people can do to help us recover quicker; one is shop locally, and by local I mean in Red Hook. Another is donate to the Restore Red Hook fund that will benefit the most damaged businesses in the neighborhood. We will be forever grateful for your patronage and support - especially as we close in on the holidays.